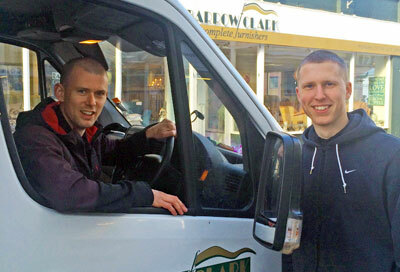 A third generation family business based in Barnstaple, North Devon, UK. 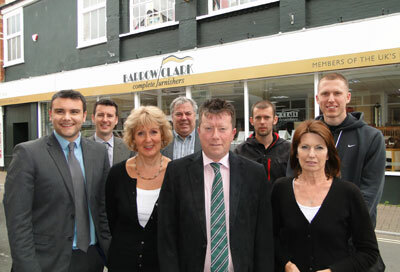 Our team at Barrow Clark are passionate and excited about all things furniture, and are keen to look after all your furniture requirements. If you are buying in store, or online, you can be confident you that you will be treated as an individual, cared for and inspired by our large range of middle to top end furniture shown across our extensive three-floor showroom and on our exciting website here. We deliver throughout the UK and aim to be as accommodating and flexible as possible - so please talk to us to see how we can help you. We are here for you whether you live on your own, have a family, need furniture for a second home locally or away, holiday cottage, rental property or even for your Business. Our extensive, Three Floor Showroom is located at 12 Bear Street, Barnstaple, North Devon, EX32 7BU. On the First Floor you will find sofas, chairs, corner groups, dining, mirrors and occasional furniture and gifts, along with feature beds, conservatory and flooring offers. The Second Floor is home to our large Flooring Department, with carpets, wood, vinyl, rugs and much more. Also on the Second floor is our Bed and Bedroom Showroom, presenting over 45 divan beds and numerous bedframes, wardrobes and bedroom furniture. The Third Floor is dedicated to Outdoor and Conservatory Furniture. Please be assured of a warm welcome on your visit, where we will offer you the service you desire: either by saying hello and leaving you to browse, or happy to walk through the store to help you find just what you are looking for. There is no need to make an appointment, but if you are pushed for time or would like to have specific information ready then please do not hesitate to contact us and we can set up an appointment at a time that suits you.